A vehicle is one of the biggest purchases that most people make. You should do everything you can to make sure that the vehicle you are buying is everything the seller is telling you it is. Even if you purchase the vehicle from someone you know, there may be things about the vehicle’s history that the current owner doesn’t know. 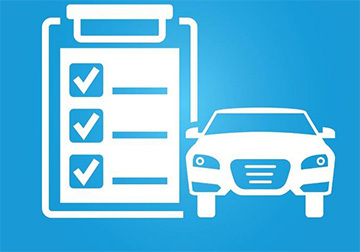 When you are buying a used vehicle, there are some reports that we can provide to give you a better idea of what you are buying. A Vehicle Information Report (VIR) provides non-protected information about any vehicle registered in Alberta. These reports only cover Alberta information and don’t include any information from other places where the vehicle may have been registered. the vehicle’s description, such as year, make, model, style, color and fuel type. the vehicle’s status, such as active, rebuilt, salvage etc. We recommend a lien search so that you know that there are no active liens on the vehicle you wish to buy. If the vehicle was previously leased and the current owner hasn’t removed the lease status, you will need to purchase a lien search in order to register the vehicle in your name and remove the lease company from the registration. You can do a Lien Search in our office or you you can do one online with immediate results. $80.80 including BC (or $59.80 without BC). Price includes GST. You may also wish to purchase a CarProof report through our office because a VIR does not provide any information from outside Alberta. A Car Proof Verified Report will give you more specific information about Accident Status, Lien Records, Canadian Registration, Stolen Status, U.S. History and Recalls.